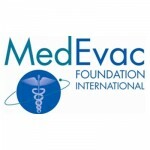 The MedEvac Foundation International is seeking applicants for the 2015 Medical Transport Leadership Institute (MTLI) and the Safety Management Training Academy (SMTA) Scholarship. The annual MTLI and SMTA programs, offered by the Association of Air Medical Services (AAMS), are excellent continuing education opportunities for medical transport providers in all disciplines. MTLI’s formal education program enhances participants’ leadership and management skills by emphasizing both management theory and its direct practical application. The MTLI Scholarship is awarded to an emerging leader in the critical care transport field who actively contributes to the medical transport community and who demonstrates a commitment to improving critical care transport services. For each of the two years of the MTLI program, the scholarship covers the cost of classes, five nights lodging, and most meals. “My two years at MTLI not only taught me advanced leadership skills, but also allowed me to meet and interact with other professionals across the medical transport spectrum. This networking opportunity was priceless and is an experience that I will carry with me throughout the remainder of my career. I would like to once again thank the MedEvac Foundation International and Metro Aviation for making this scholarship possible,“ said 2013 Scholarship winner John Pakiela, DO, FACEP, CMTE. Applications for the MTLI scholarship are due Friday, Dec. 12, 2014. Special thanks to Metro Aviation, Inc., longtime sponsor of the MTLI Scholarship. SMTA provides formal continuing education for individuals (and their organizations) interested in improving their understanding of safety systems theory and the application of that theory to the practice of medical transportation. Students will gain expertise and practical skills through formal didactic and participatory sessions designed to instill creative thinking and decision-making. Participants also obtain valuable insight into real life challenges by networking with industry leaders. The scholarship covers the cost of classes, lodging, and most meals. Applications for the SMTA scholarship are due Friday, Feb. 6, 2015. Special thanks to the Air Medical Operators Association, sponsor of the SMTA Scholarship. If you have any questions, please contact Kristin Discher by email at kdischer@aams.org or by phone at (703) 836-8732.